US military started on Saturday to shell positions of the Daesh in the northern Iraqi city of Mosul, Turkish media reported, citing Kurdish sources. MOSCOW (Sputnik) – A source in the Iraqi security forces told Sputnik that US and Iraqi armed forces prepare for the military operation aimed at liberating the city. Peshmerga Ministry’s spokesman Halgurd Hikmat told Sputnik that the offensive would start “very soon,” maybe on Sunday. Kurdish Peshmerga Commander Omer Huseyin told the Anadolu news agency that US howitzers deployed about 13 miles from the Mosul’s city center opened fire on Saturday. © FLICKR/ RA.AZ Egyptian Military Kills 100 Daesh Members In Retaliatory Strike He also said that US-led coalition jets carried out airstrikes on the Daesh positions. “The Daesh terrorists started burning tires to block the view of the warplanes after international coalition forces struck the area. Daesh terrorists also started burning the petroleum filled in their ditches, which they have dug around the city,” Huseyin added. Mosul, the second biggest Iraqi city, as well as a number of other northern and western Iraqi cities and towns was seized in 2014 during an offensive of the Daesh extremists, outlawed in Russia. source from within the city of Mosul reported that Daesh terrorist gangs, told its fighters injured that they can move to the city of Raqqa, Daesh stronghold in Syria, at a time when Iraqi authorities are preparing for the process of liberalization of Mosul. The source told CNN that the network of tunnels built by Daesh grow dramatically, including a large tunnels allow action motorcycles, stretching from the outskirts of the city to Hamdania [southeast of Mosul. Twilight News / met the Prime Minister and Commander in Chief of the Armed Forces on Saturday, Haider Abadi, a number of leaders of the popular crowd. According to a statement issued by the Information Office of Ebadi, the latter held a meeting with those leaders dealt with the liberalization plans Hawija and Mosul and enhance the capabilities of troops liberated and develop suitable alternatives in any field evolution on the ground. The statement said the leaders of factions of the crowd expressed their gratitude for the care and Ttminhm Abadi and would stand under his leadership as part of the state institutions in any possible threats by any foreign power. Twilight News / organization launched Daesh terrorist release of some detainees has in the city of Mosul, with the imminent launch of editing operations by Iraqi forces and the Peshmerga forces and volunteers. In another matter, the organization demanded on Saturday the people of Sumer neighborhood east of Mosul surrender identity papers to him during a maximum period of 24 hours. Local residents said the special Twilight News, via “Skype”, said the service’s comments elements of the organization told all the homeowners in the neighborhood of victory should be the preparation of a copy of their belongings and presented him with a statement of work of the head of the family now, and before the date of June 10 2014 “. 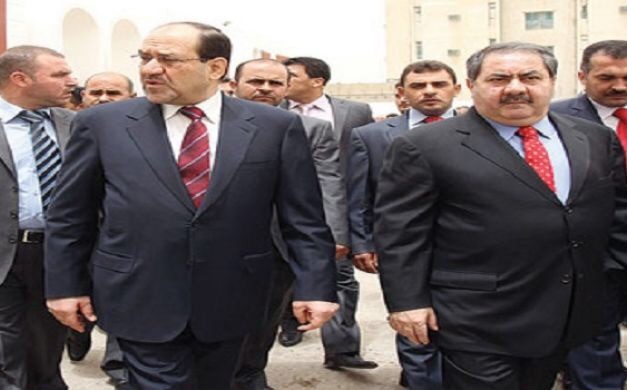 Kurdish politician revealed, for the direction of the former Finance Minister Hoshyar Zebari, a threat to the president of a coalition of state law, Nuri al-Maliki, by resorting to the International Criminal Court. The Washington Post confirmed that the American liberation ofMosul is very important for Barack Obama to achieve victory before the end of his presidency. The newspaper pointed out that the victory in Mosul will support the position of the Iraqi Prime Minister Haider al -Abadi , who politically liberated during the coming to power most of the Iraqi areas of the organization Daesh terrorist. The newspaper said the US military victory in Mosul is anaffirmation of the role of the United States expansion in Iraq ,where US commanders overseeing the gradual increase troopsin addition to counseling and the use of attack helicopters inthe upcoming battle in Mosul , according to the newspaper. Shafaq News / The President of Kurdistan, Massoud Barzani, the region agreed with the Iraqi government before embarking on the battle of Mosul, among other issues pertaining to the status of the city, editing, and the importance of it for Kurdistan. Barzani said in a letter addressed to public opinion, with the imminent launch of liberalization Mosul process from the grip Daesh, “We have reached an agreement with the Iraqi government regards the status of the Peshmerga forces and the Iraqi army co-operation and the importance of that for the Kurdistan Region, and we are now ready for operation. Barzani said that Baghdad and Arbil, also agreed to form a joint political council to control and supervise the situation and the developments after the liberation of Mosul process. And several factions announced their participation in the process as well as the Iraqi forces and the support of the international coalition led by Washington. And it formed the mainstay of the forces involved in the operation of the Iraqi forces and counter-terrorism, as well as the band “rapid reaction”, which declared its commander Major General Thamer al-Husseini, said his forces will take part in the battle to liberate Mosul upcoming three combat brigades. He will also participate in the process, the popular crowd on the one hand, and “national mobilization”, led by former governor of Nineveh Liberation of Iraq, and this crowd is composed of fighters from the Sunni tribes. 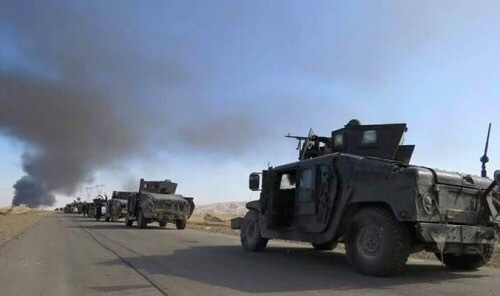 In turn, the Peshmerga forces strengthened field presence in all axes around the city of Mosul, with the approach of the upcoming start of the battle to liberate the city. The organization Daesh seized Mosul, which has a population of more than a million people, in June 2014 and are subject to the control of the organization’s largest city, which extends its presence areas across the border from northern Iraq to the east of Syria.